Venice Santa Lucia station parking, located in the very central Piazzale Roma is the best car park option for you. So you will be able to reach the station by walk in a few minutes!! Venice Santa Lucia station parking is open 24 hours, has exclusively covered spaces and moreover Venice Santa Lucia station parking is monitored 24 hours by a CCTV system and covered against fire and theft. You can book for Venice Santa Lucia station parking by entering the dates and times of arrival at the car park on our website and then fill out a booking form. You will receive a booking voucher with the information on how to reach the car park. Venice Santa Lucia railway station is a terminal railway station serving the city of Venice in Italy. 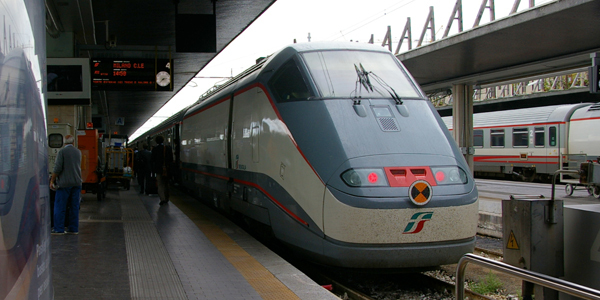 It is also the only railway station in the historic city of Venice. Used by thousands of commuters and tourists each and every day, Venice Santa Lucia Station clocks up a massive 30 million passengers a year!